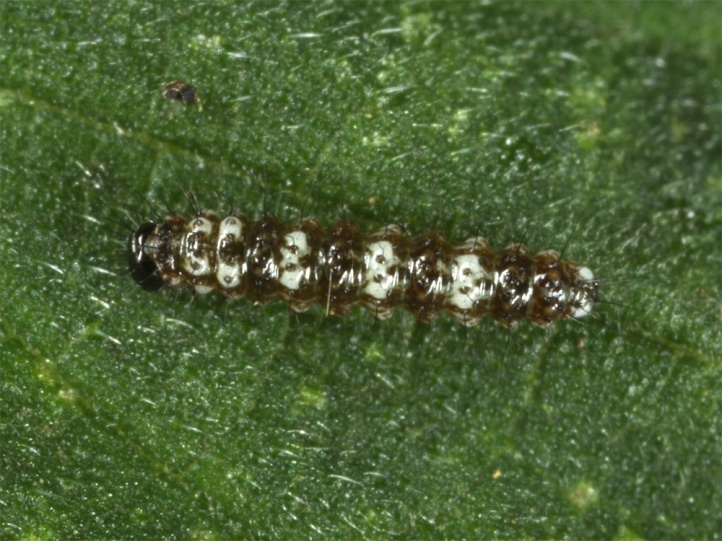 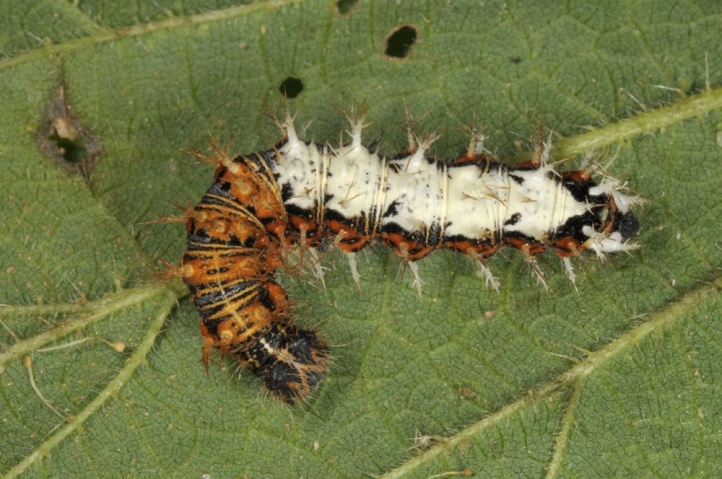 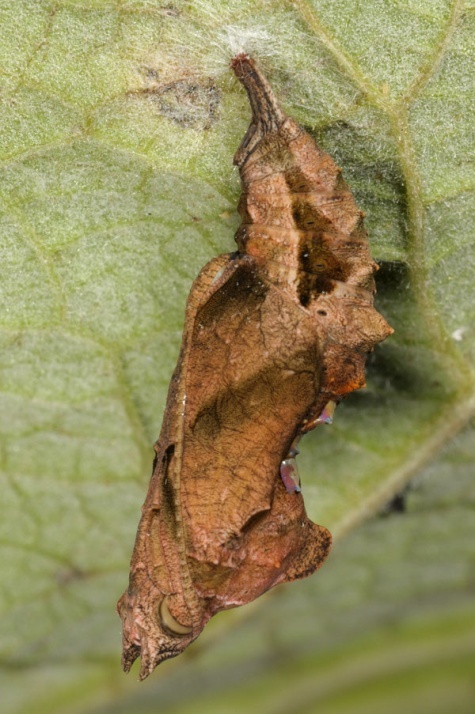 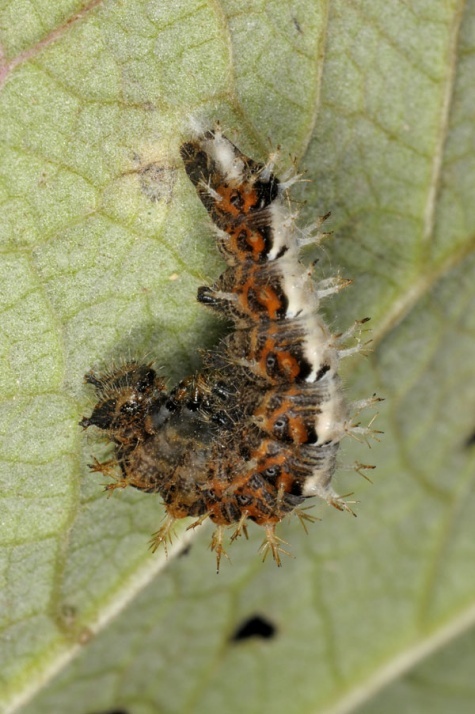 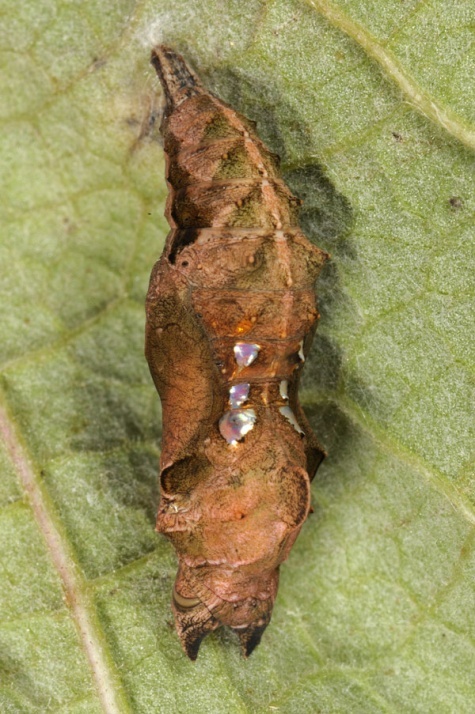 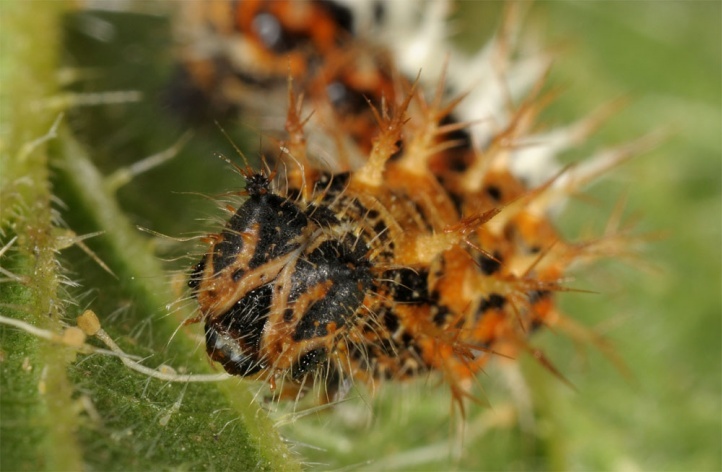 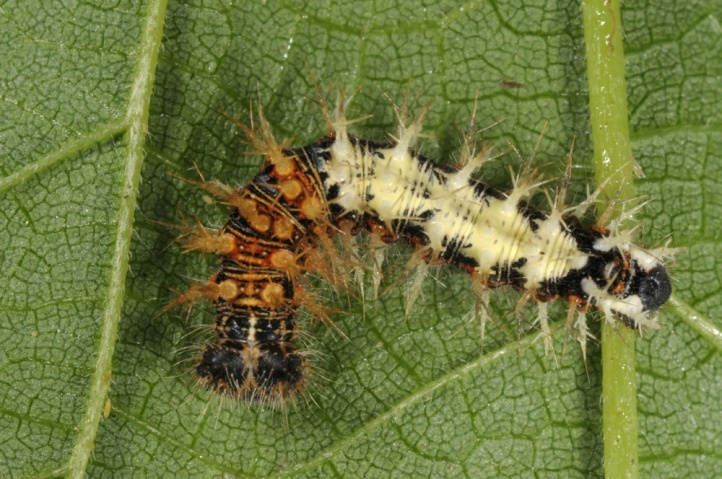 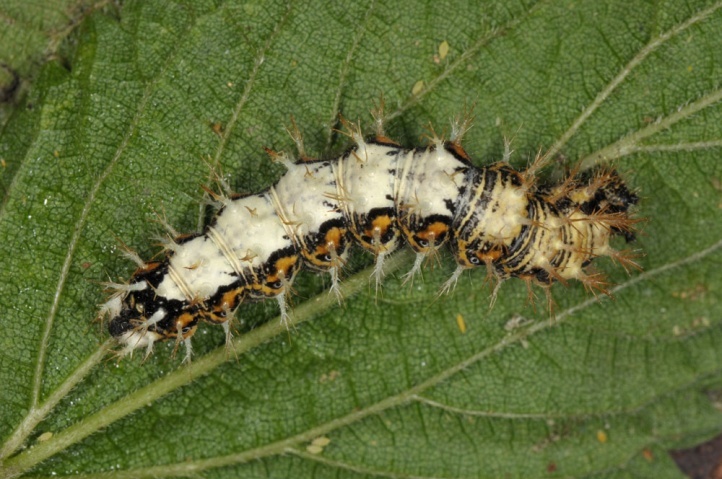 The caterpillar develops at Urticaceae like Urtica dioica or Humulus lupulus, at Ulmaceae like Ulmus glabra and at Salicaceae like Salix caprea. 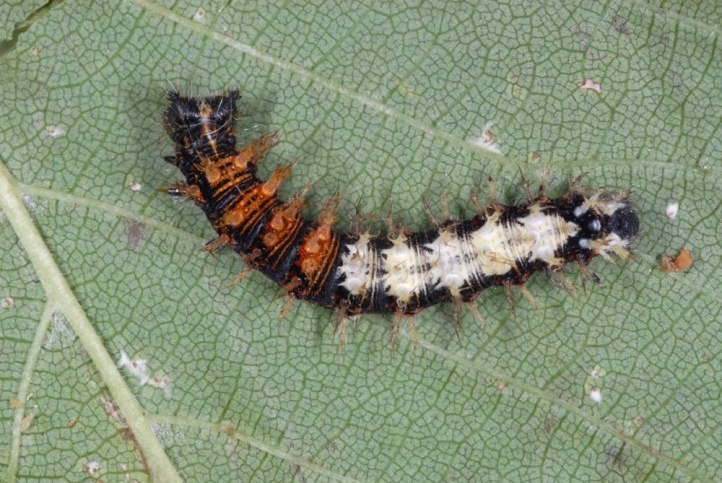 Nymphalis c-album is more exacting than Vanessa urticae. 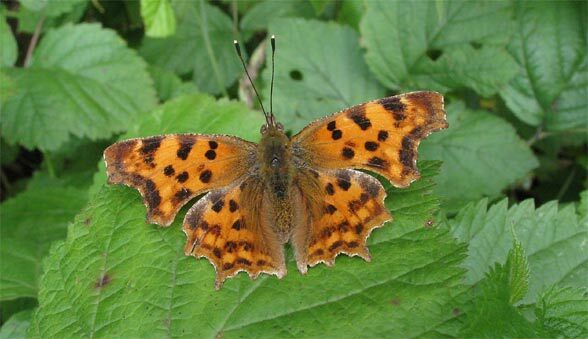 Mostly, the butterfly occurs in the forests or in at least wood-rich habitats like alluvial forests, open mixed forests, parks and gardens. 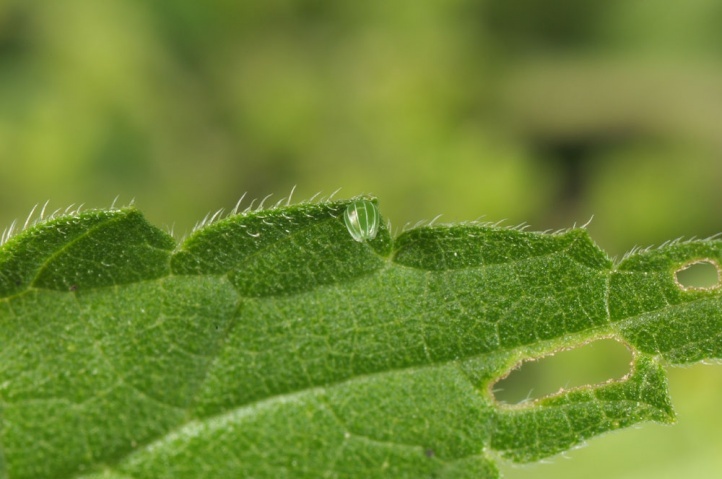 It occurs only rarely in a completely open landscape. 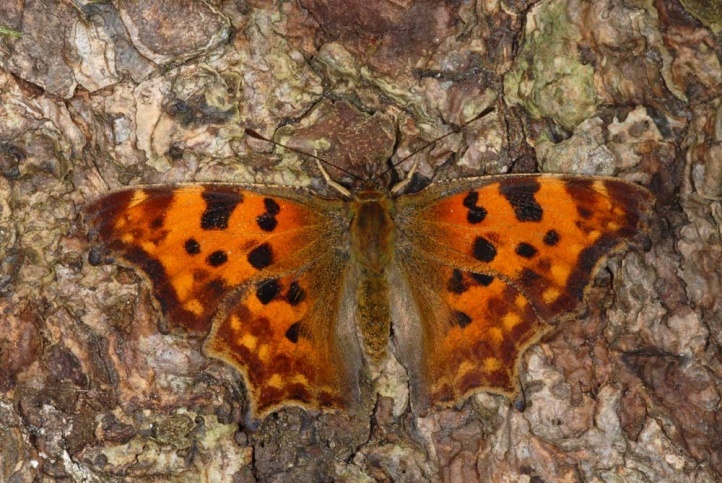 Nymphalis c-album hibernates as an adult and usually has two generations in Central Europe. 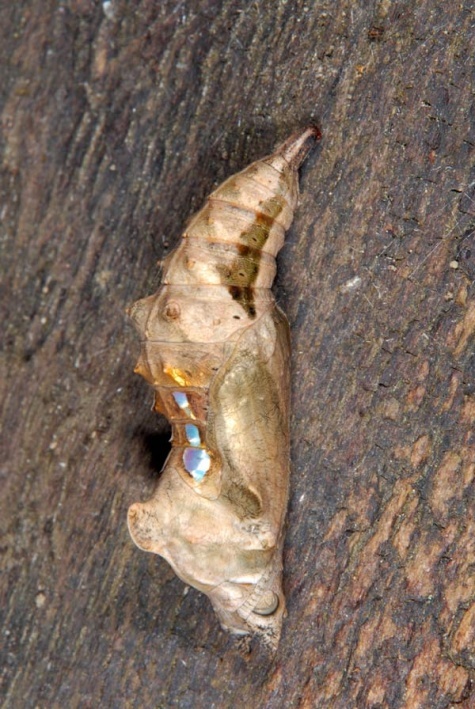 The second generation is sometimes not quite complete. 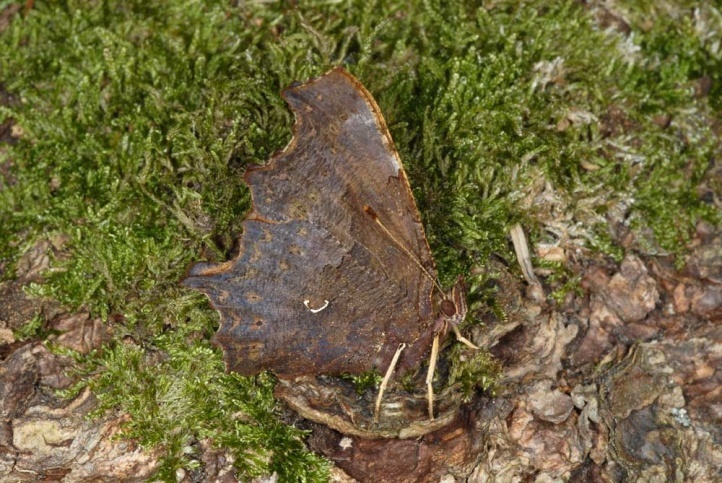 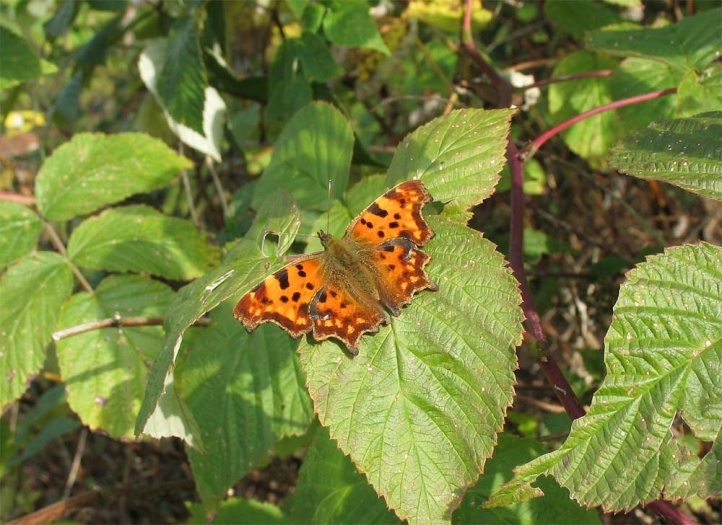 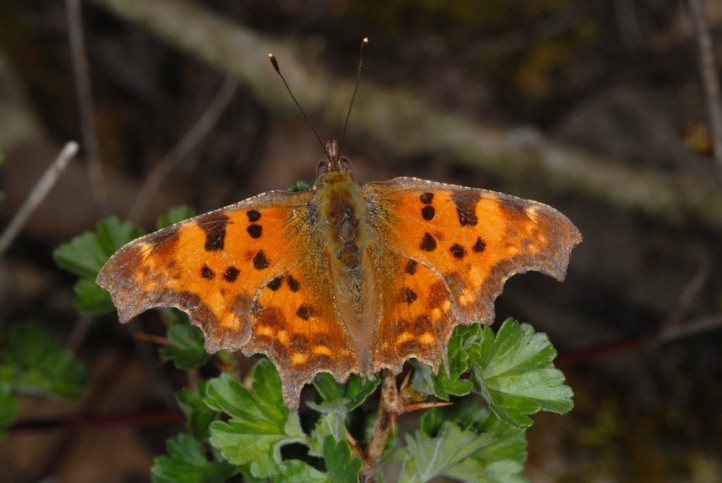 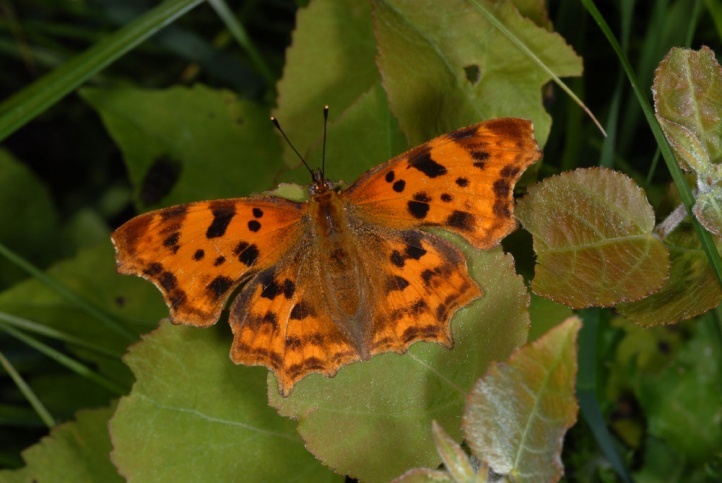 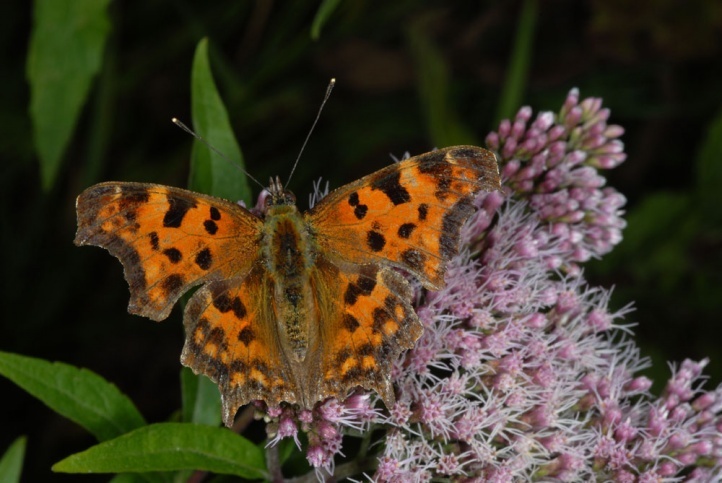 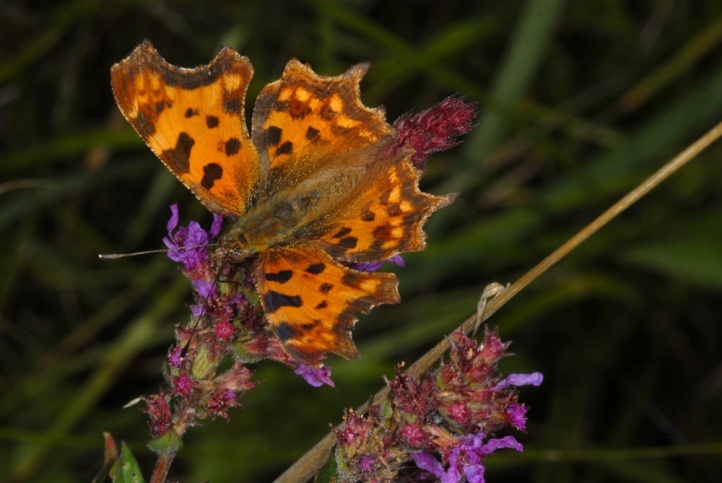 The butterfly appears in March/April and flies up to early June. 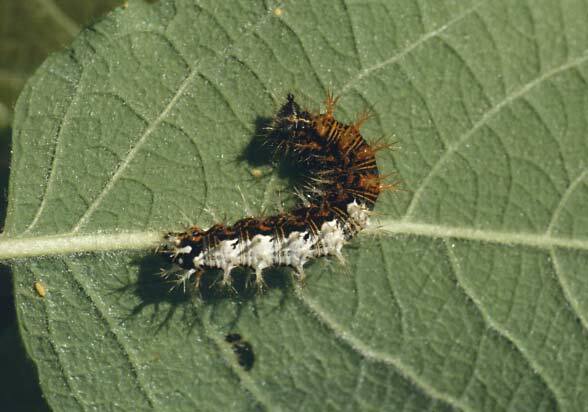 Caterpillars are then found in the June/July and new adults in mid to late summer. 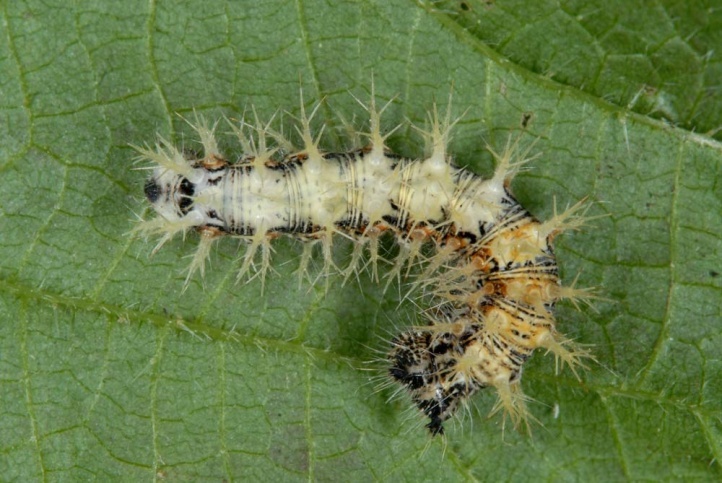 Their descendants occur as caterpillars from July, but especially in August/September. 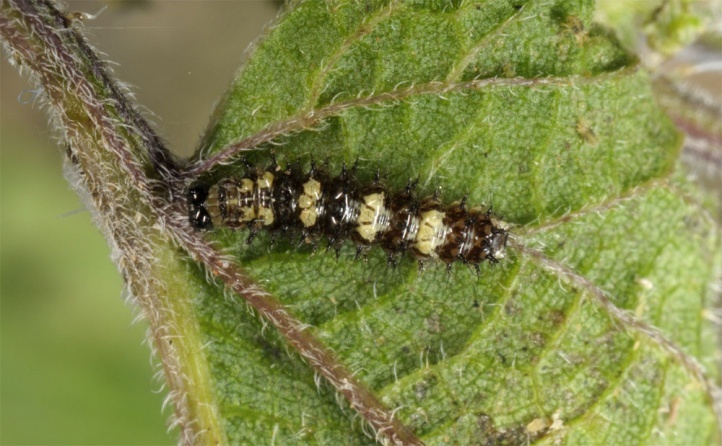 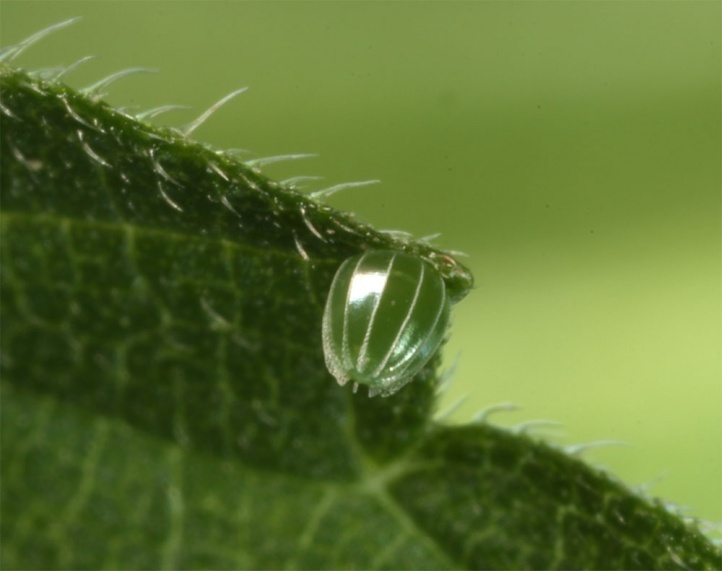 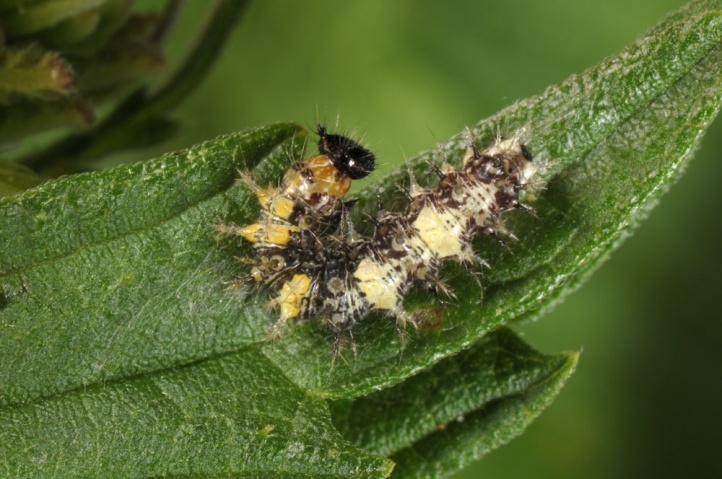 The caterpillars are quite common for example along shady woodland trails on the lower leaf surface of older nettles or elms at the end of August. 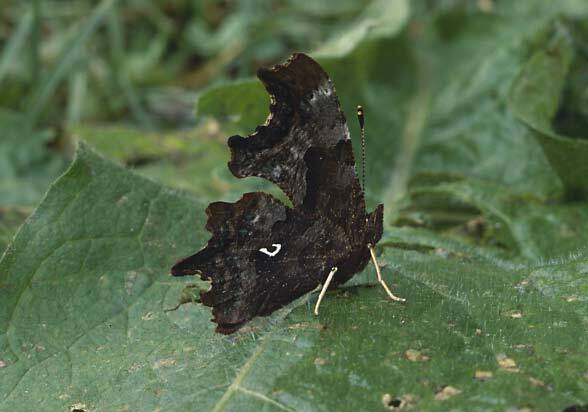 Nymphalis c-album is endangered only weakly through general loss of landscape diversity. 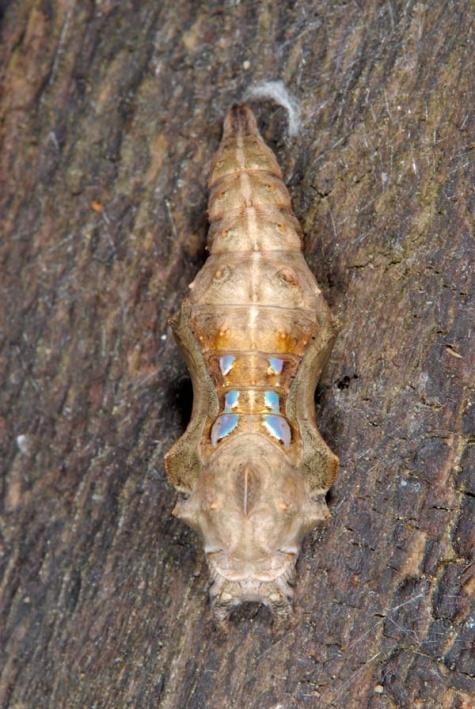 The distribution extends from North Africa across Europe and temperate Asia to Japan.